Unique lakefront home! 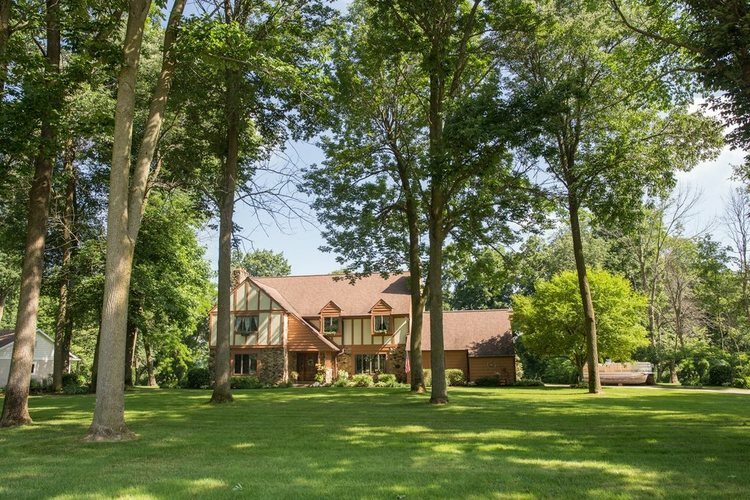 A 1.5 acre park-like setting with 170 feet of lake frontage highlight this Myers Lake property conveniently located between Plymouth and Culver. With 5 bedrooms, 3.5 baths and 4,750 feet of finished living space there's room for all the family and guests alike. Spacious open concept style with 3 fireplaces, new granite tops in kitchen, new hardwood floors, library/office with built-ins, sunken living/family room with stone wall fireplace, and a finished basement are just some of the great features of this special home. Outside, enjoy the huge deck overlooking the in-ground pool, fire pit and exquisite lake views. Great fishing, kayaking and boating can be enjoyed without the chaos of high speed watercraft! Offered at $459,000...Hurry, this won't last! Directions:From Glen Overmyer Drive go South on Olive Tr. to 12th then West to Peach then South to Menominee then East to sign.